For the past forty years shamanism has drawn increasing attention among the general public and academics. There is an enormous literature on shamanism, but no one has tried to understand why and how Western intellectual and popular culture became so fascinated with the topic. Behind fictional and non-fictional works on shamanism, Andrei A. Znamenski uncovers an exciting story that mirrors changing Western attitudes toward the primitive. The Beauty of the Primitive explores how shamanism, an obscure word introduced by the eighteenth-century German explorers of Siberia, entered Western humanities and social sciences, and has now become a powerful idiom used by nature and pagan communities to situate their spiritual quests and anti-modernity sentiments. 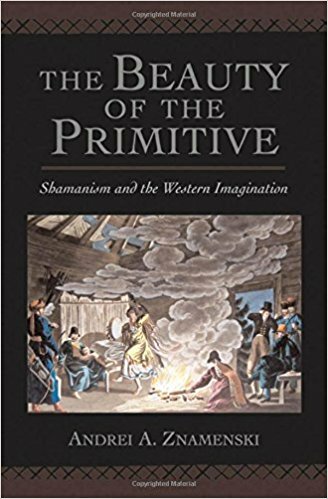 The major characters of The Beauty of the Primitive are past and present Western scholars, writers, explorers, and spiritual seekers with a variety of views on shamanism. Moving from Enlightenment and Romantic writers and Russian exile ethnographers to the anthropology of Franz Boas to Mircea Eliade and Carlos Castaneda, Znamenski details how the shamanism idiom was gradually transplanted from Siberia to the Native American scene and beyond. He also looks into the circumstances that prompted scholars and writers at first to marginalize shamanism as a mental disorder and then to recast it as high spiritual wisdom in the 1960s and the 1970s. Linking the growing interest in shamanism to the rise of anti-modernism in Western culture and intellectual life, Znamenski examines the role that anthropology, psychology, environmentalism, and Native Americana have played in the emergence of neo-shamanism. He discusses the sources that inspire Western neo-shamans and seeks to explain why lately many of these spiritual seekers have increasingly moved away from non-Western tradition to European folklore. A work of intellectual discovery, The Beauty of the Primitive shows how scholars, writers, and spiritual seekers shape their writings and experiences to suit contemporary cultural, ideological, and spiritual needs. With its interdisciplinary approach and engaging style, it promises to be the definitive account of this neglected strand of intellectual history.